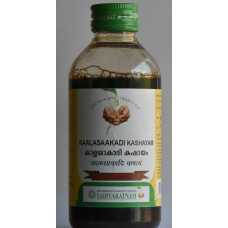 Prisniparni- Desmodium gangeticum, Pathya- Terminalia chebula , Amalaki- Emblica officinalis, Aksha- Terminalia bellerica, Rasona- Allium sativum, Pippali- Piper longum, Kirshnajeeraka- Nigeli sativa 85.714 mg each. The Herb Latin Name Terminalia arjuna Wight & Arn. English Name Arjuna Sanskrit / Indian Name..